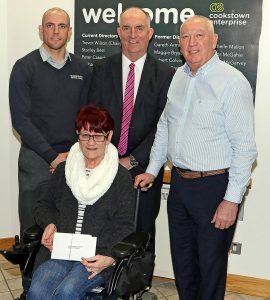 Cookstown Enterprise recently made its annual Christmas donation to three locally based charities. 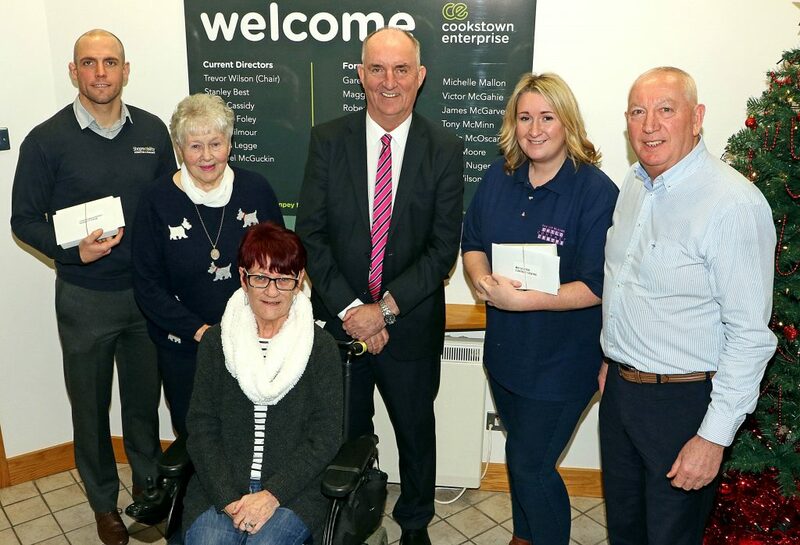 This year Cookstown Enterprise donated £200 to Mid Ulster Dementia Support, Cookstown & District Disability Forum and Mid Ulster Child Contact Centre. 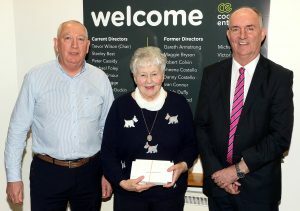 (L-R) Jim Eastwood General Manager Cookstown EC, Evelyn McCartney from Mid Ulster Dementia Support and Trevor Wilson Chairman of Cookstown Enterprise Centre. (Back Row L-R) Mark Farquhar from Cookstown & District Disability Forum, Trevor Wilson Chairman of Cookstown Enterprise Centre and Jim Eastwood General Manager Cookstown EC. (Front Row) Ursula Marshall from Cookstown & District Disability Forum. 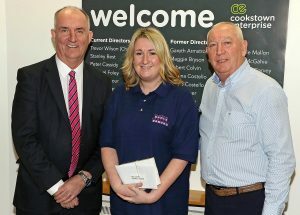 (L-R) Trevor Wilson Chairman of Cookstown Enterprise Centre, Vanessa Haddon from Mid Ulster Child Contact Centre and Jim Eastwood General Manager Cookstown EC.